When the United States sneezes, the world catches a cold. This time, the sneeze was heard on American airwaves and chimed with the white supremacists’ long-standing perceptions of multicultural diversities. Dennis Malloy and Judi Franco, hosts of a New Jersey radio station, mocked the state’s top law-enforcement official, a Sikh, for his turban. 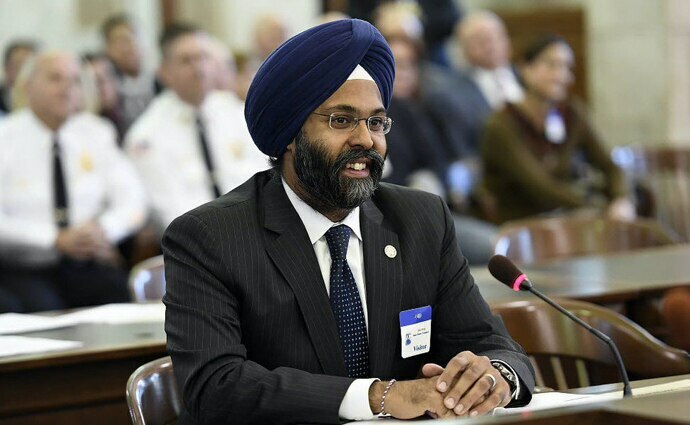 On Wednesday, attorney general Gurbir Grewal faced racial slurs on The Dennis & Judi Show on NJ 101.5, one of New Jersey’s most listened-to midday radio programs. "You know, the attorney general," Malloy said on the air. "I'm never going to know his name, I'm just going to say the guy with the turban." "Turban maaaaan," Franco answered in singsong. "If that offends you," Malloy said, "then don't wear the turban and then I'll remember your name." The insults sparked both outrage and trolling. International media caught the cold – the story grabbed page-one headlines in no time. Grewal shared his experiences the next day, the challenges he faced as a representative of the state and as a minority with a glaringly visible identity. “This is not the first indignity I’ve faced and it probably won’t be the last,” the AG tweeted. The humiliation someone of the stature of Grewal encountered in a country like the United States cannot be seen in isolation. It’s a garish reflection of populist nationalism infecting almost all major economies of the world now, India included. Raghuram Rajan, the former governor of India’s central bank, warned about it just last year. Let me now explain what populist nationalism is and its links to hate crimes, racially-motivated attacks and its role in shaping the overall narrative about minorities wherever they are. Populism, writes author Pippa Norris, is a philosophy of governance holding that legitimate political authority is based in vox populi and majority rule, without safeguards for minority rights and conventional checks and balances. “Populism gives leaders the chance to grab sweeping powers by claiming to speak for the people. They use those claims to sweep away constitutional safeguards on executive power,” Norris, the McGuire Lecturer in comparative politics at Harvard University, said in an article in The Washington Post. Yascha Mounk, a lecturer on government at Harvard, describes the trend in a separate article in The Guardian as a sign of deconsolidation of democracies. So, populist nationalism, in the nut, refers to a damning resurgence of global intolerance. And I find this phenomenon to be inversely proportional to the overall economic health of the planet. Nothing can better illustrate it to an Indian audience than the emergence of the Hindutva right-wing in our country. What Grewal suffered in the US on Wednesday, and also possibly on various other unreported occasions, is what tens of thousands of ordinary Muslims in the world’s largest democracy have been confronting miserably over the past decade. Many have also been the victim of physical assaults, some fatal. It’s certainly not a coincidence that a vicious atmosphere against one or multiple minorities is a byproduct of economic slowdown. The pattern I observed suggests populist nationalism, which stimulates majoritarian backlash against smaller groups and communities, runs parallel to the fall in productivity and jobs. When the deadly events of Gujarat happened towards the end of the 2001-02 financial, India’s GDP growth had already begun to decrease – slowing from 5.81 per cent in the previous to 3.84 per cent in the 2002-03 fiscal. It’s again no coincidence that anti-minority or anti-Muslim rhetoric subsided substantially in the first term of the UPA government led by Dr Manmohan Singh as prime minister. Official data show that the GDP touched a high-growth trajectory during most of Dr Singh’s first five years in office – 9.48 per cent in 2005-06, 9.57 per cent in 2006-07 and 9.32 per cent in 2007-08. Then comes the rise of the BJP and Hindutva forces – aggressively on the back of an economic slump when growth stumbled to 6.69 per cent in 2011-12, 4.47 per cent in 2012-13 and 4.74 per cent in 2013-14, blamed largely on domestic policy, tax disputes and shaken investor confidence. This indicates that populist nationalism advocated by the right-wing cannot effectively operate in a healthy economy. Practitioners of this ideology are far more successful in using it to spur insecurities when growth is in a crisis. Populist nationalism, thus, serves as a potent political weapon for the right-wingers in their psychological warfare for power, and greater power. Economies like the United States aren’t immune to it. Their apology aside, Malloy and Franco embody the Trump syndrome that appears to have seeped deep into white America. A professor of the practice of economic policy at the Harvard Kennedy School, Jason Furmon cites international statistics that showed growth rates in the advanced economies have averaged 1.2 per cent, down from an average of 3.1 per cent during the previous 25 years. 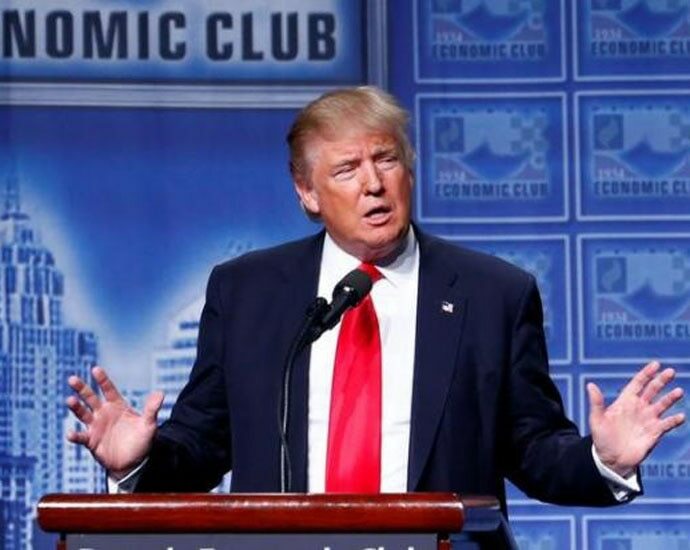 “So, it stands to reason that the past decade of sluggish growth has contributed to the surge of a damaging form of populist nationalism that is taking hold in a growing number of countries,” wrote Furmon, who chaired then President Barack Obama’s Council of Economic Advisers from 2013-2017. In the United States, Furmon pointed out, the share of white-born population has risen from 5 per cent in 1960 to around 14 per cent today. That offers a fertile ground for majorities to assert their supremacy. The Malloys and the Francos are its flourishing crops. So the Grewals of the world be warned: populist nationalism is here to stay on the planet for some more time.